The doctor cannot get to the point. He is trying. But even when his patient asks him directly, "Are you saying I'm dying?" he fumbles, unable to simply answer, "Yes." Fortunately, the pain and confusion this physician is unintentionally causing are not real. He is participating in a simulation lab to teach clinicians how to talk frankly and compassionately with their patients about end-of-life care. Unfortunately, he is among a significant minority nationwide learning how to alleviate one of the most persistent and costly problems facing America's healthcare industry: a crisis of denial about death, made significantly worse by clinicians conditioned to never give up on treatment. This is not only a tragedy for the dying and those who care about them, but a major mistake for the healthcare industry. Death is inevitable. Clinicians know when it is imminent. Pushing against impending death not only creates undue burdens on the system and the dying patient, but is often contrary to the way most people want to die. Yet many healthcare providers continue to engage in a costly and futile battle. In particular, they are reluctant to broach crucial if difficult conversations with their patients. According to a recent Kaiser Family Foundation study of Medicare and end-of-life care, 2.6 million people died in the U.S. in 2014. Of those, 2.1 million were Medicare recipients. However, the study found that more than 7 in 10 people age 65 and older had not discussed end-of-life care with their doctors, and 4 in 10 had not documented their end-of-life care wishes. This likely contributes to why Medicare spent nearly four times as much on care for beneficiaries who died in 2014 ($34,529 per person) as for other beneficiaries ($9,121 per person). Clinicians must begin to talk more substantively to their patients about their medical conditions, mortality, and end-of-life options. Too much is at stake to yield to discomfort. Part of this will involve more conversations about post-acute service and support options. The Kaiser study found that hospice use among Medicare beneficiaries at the end of life increased between 2000 and 2014 to nearly half (46%) of all beneficiaries. Furthermore, there is a correlation between a percentage decrease in total Medicare spending for people at the end of life–from 18.6% to 13.5%–and an increase in spending on hospice from $2.3 billion to $10.4 billion. Hospice care specialists are trained to alleviate pain and anxiety even as they curtail the costs of care by focusing on comfort rather than extraordinary measures in the face of the inevitable. They also are a vital resource for clinicians, ready to work hand-in-hand with them to bring patients to the final step along the continuum of care. Reduced readmissions. A 2014 Health Affairs study showed that hospice enrollment was associated with significant reductions in, among other things, 30-day hospital readmission and in-hospital death. Better patient satisfaction and clinical outcomes. A 2016 investigation published in BMJ Supportive & Palliative Care linked greater use of hospice care during the last six months of life with improved patient experience, including overall satisfaction and pain control, and clinical outcomes of care, such as decreased ICU and hospital mortality. Better family experiences. Relatives of terminally ill patients reported higher satisfaction with the care their dying loved ones received when they were in hospice for more than three days (59%) as opposed to less than three days (43%), according to a study published in JAMA in 2016. Family members whose loved ones received three or fewer days of hospice care were less likely to report the patient died in their location of choice (40%) than those who received hospice for more than three days (73%). This same study further determined that only 45% of families reported excellent care when their family member was admitted to a hospital intensive-care unit within 30 days of dying. Training healthcare professionals to have open, honest conversations with their patients about death and to more fully incorporate hospice practitioners into the continuum of care is vital to improving our healthcare system. For the good of all, we must make this dialogue an accepted standard of care, preparing patients and their families for that time when their care is best transitioned to those who specialize in the end of life–and are dedicated to making this inevitable experience the best it can possibly be. 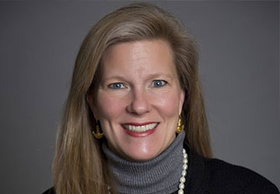 Anna-Gene O'Neal is president and CEO of the not-for-profit Alive Hospice based in Nashville, one of the oldest hospice organizations in the country.